As it glanced around the Saturn system one final time, NASA's Cassini spacecraft captured this view of the planet's giant moon Titan. Interest in mysterious Titan was a major motivating factor to return to Saturn with Cassini-Huygens following the Voyager mission flybys of the early 1980s. Cassini and its Huygens probe, supplied by European Space Agency, revealed the moon to be every bit as fascinating as scientists had hoped. These views were obtained by Cassini's narrow-angle camera on Sept. 13, 2017. They are among the last images Cassini sent back to Earth. 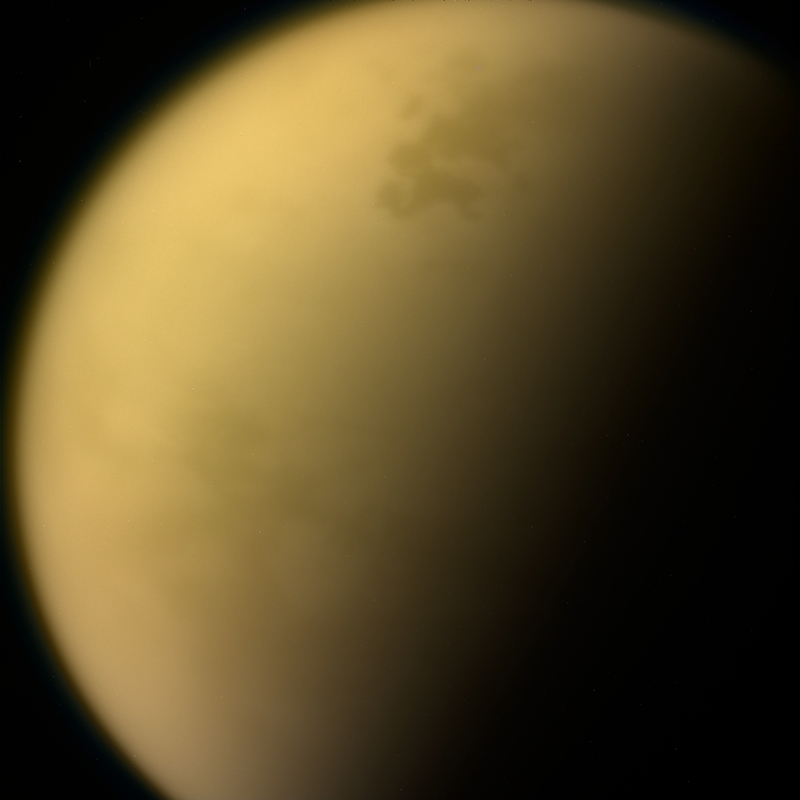 This natural color view, made from images taken using red, green and blue spectral filters, shows Titan much as Voyager saw it -- a mostly featureless golden orb, swathed in a dense atmospheric haze. An enhanced-color view (Figure 1) adds to this color a separate view taken using a spectral filter (centered at 938 nanometers) that can partially see through the haze. The views were acquired at a distance of 481,000 miles (774,000 kilometers) from Titan. The image scale is about 3 miles (5 kilometers) per pixel.